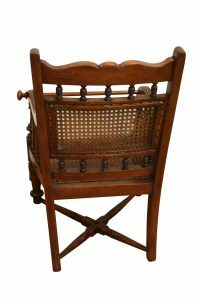 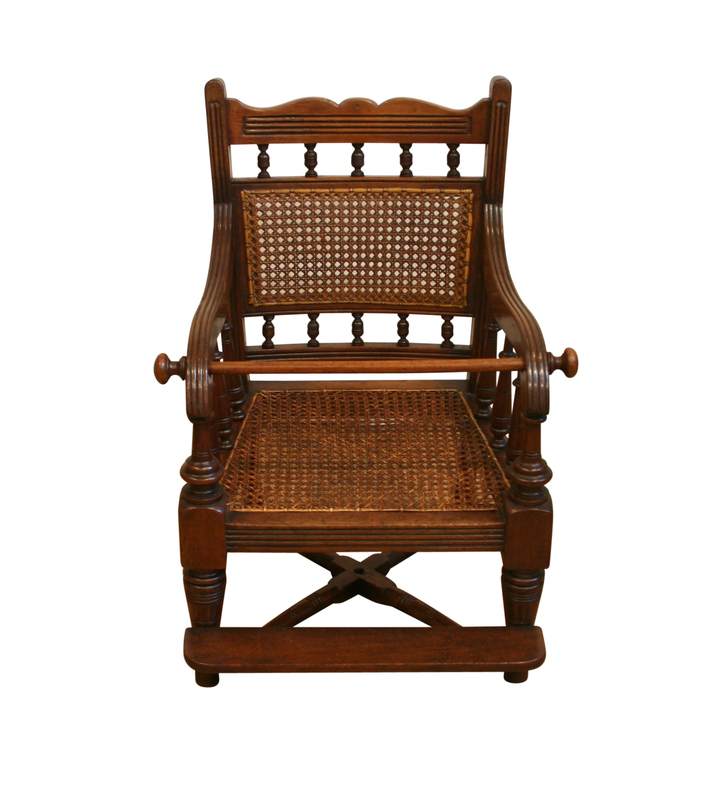 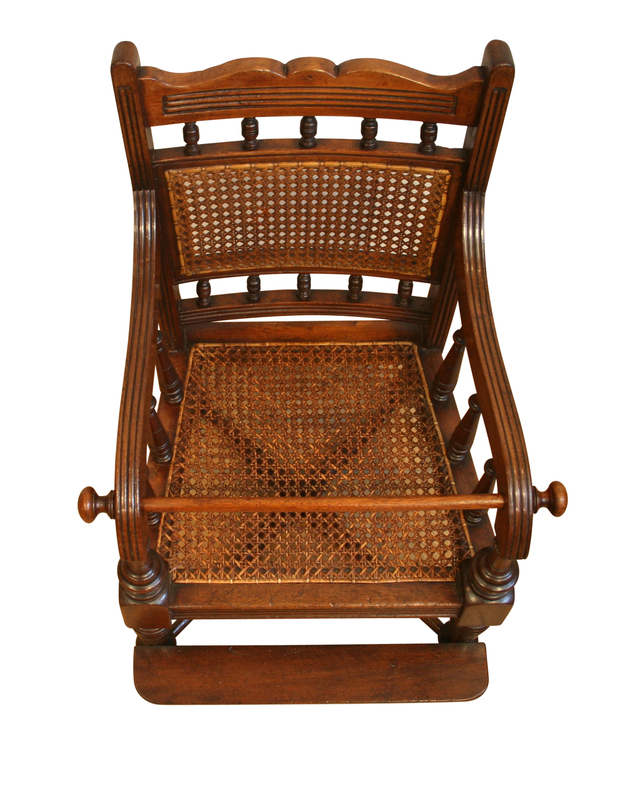 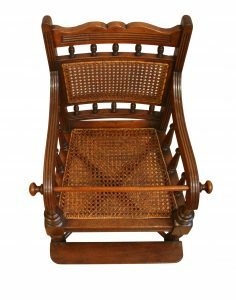 An Edwardian mahogany child’s chair. 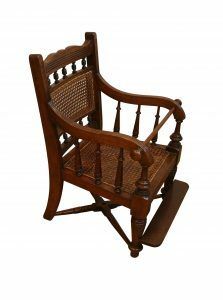 It has reeded curved arms that are supported on bobbins. 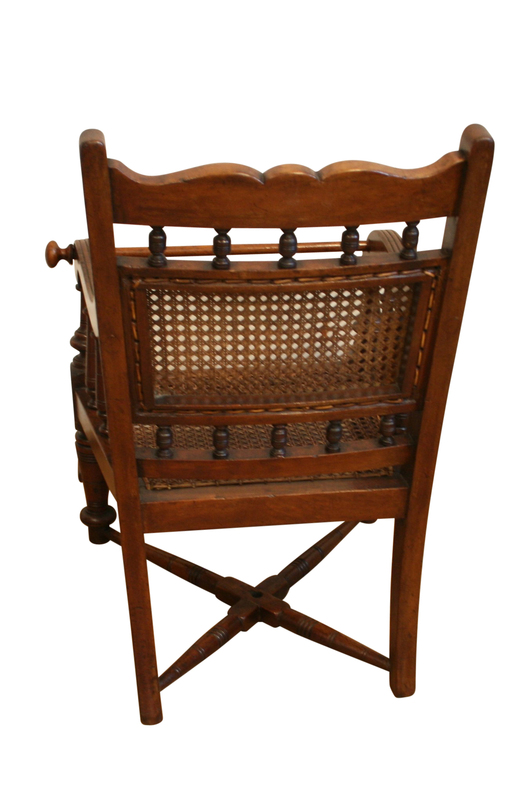 It has a cane seat and back with a shaped back rail and a wooden safety bar across the front. 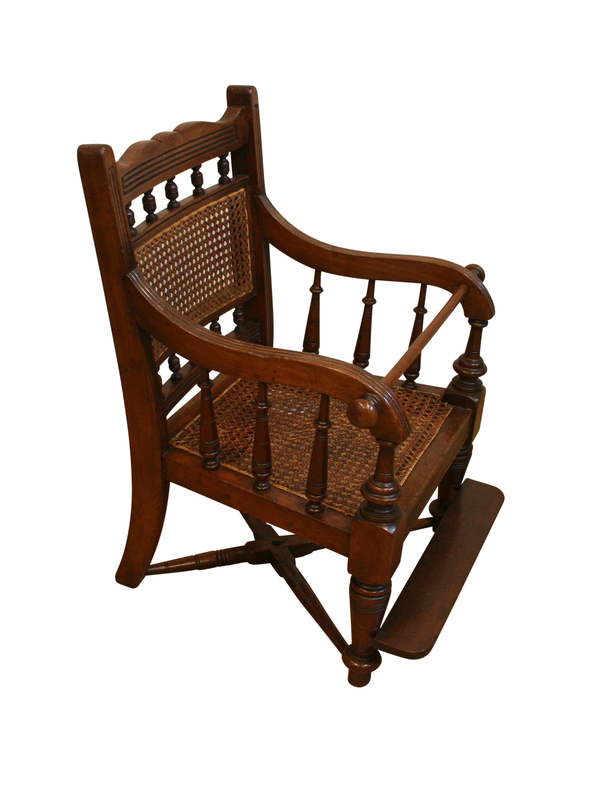 It is raised on sabre back legs, which are united by an X stretcher rail.